listen), lit. "The nation of Bengal"), officially the People's Republic of Bangladesh (Bengali: গণপ্রজাতন্ত্রী বাংলাদেশ Gônôprôjatôntri Bangladesh), is a country in South Asia. It is bordered by India to its west, north and east; Burma to its southeast and separated from Nepal and Bhutan by the Chicken’s Neck corridor. To its south, it faces the Bay of Bengal. Bangladesh is the world's eighth-most populous country, with over 160 million people, and among the most densely populated countries. It forms part of the ethno-linguistic region of Bengal, along with the neighbouring Indian states of West Bengal and Tripura. The present-day borders of Bangladesh took shape during the Partition of Bengal and British India in 1947, when the region used to be known as East Pakistan, as a part of the newly formed state of Pakistan. It was separated from West Pakistan by 1 400 km of Indian territory. Due to political exclusion, ethnic and linguistic discrimination and economic neglect by the politically dominant western wing, nationalism, popular agitation and civil disobedience led to the Bangladesh Liberation War and independence in 1971. After independence, the new state endured poverty, famine, political turmoil and military coups. The restoration of democracy in 1991 has been followed by relative calm and economic progress. In 2014, the Bangladeshi general election was boycotted by major opposition parties, resulting in a parliament and government dominated by the Awami League and its smaller coalition partners. Bangladesh is a unitary parliamentary republic with an elected parliament called the Jatiyo Sangshad. Bengalis form the country's largest ethnic group, along with indigenous peoples in northern and southeastern districts. Geographically, the country is dominated by the fertile Bengal delta, the world's largest delta. The four largest and constitutionally recognized religions in the country are Islam (89%), Hinduism (8%), Buddhism (1%) and Christianity (0.5%). 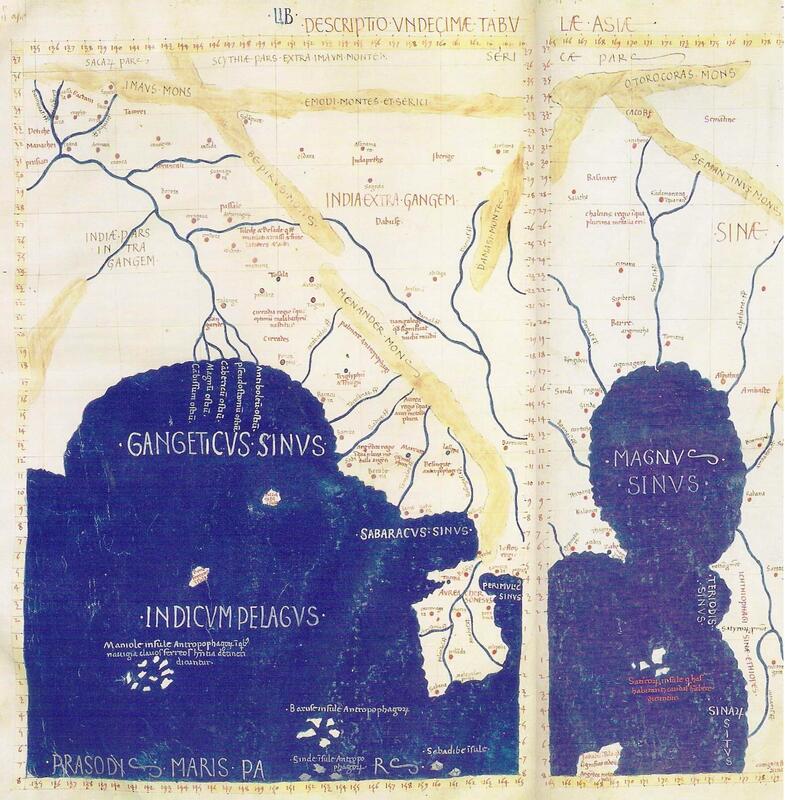 The region was known to the ancient Greek and Roman world as Gangaridai or nation of Ganges. Though still largely unclear, the early history of Bengal featured a succession of city states, maritime kingdoms and pan-Indian empires, as well as a tussle between Hinduism and Buddhism for dominance. The ancient political units of the region consisted of Vanga, Samatata, Harikela and Pundravardhana. The Mauryan Empire led by Ashoka the Great conquered Bengal in the second century BCE. After the collapse of the Gupta Empire, a local ruler named Shashanka rose to power and founded the impressive Gauda kingdom. After a period of anarchy, the Bengali Buddhist Pala dynasty ruled the region for four hundred years, followed by the Hindu Sena Dynasty. In 1950, land reform was accomplished in East Bengal with the abolishment of the feudal zamindari system. Despite the economic and demographic weight of the east, Pakistan's government and military were largely dominated by the upper classes from the west. The Bengali Language Movement of 1952 was the first sign of friction between the two wings of Pakistan. Dissatisfaction with the central government over economic and cultural issues continued to rise through the next decade, during which the Awami League emerged as the political voice of the Bengali-speaking population. It agitated for autonomy in the 1960s, and in 1966, its president, Sheikh Mujibur Rahman (Mujib), was jailed; he was released in 1969 after an unprecedented popular uprising. In 1970, a massive cyclone devastated the coast of East Pakistan, killing up to half a million people, and the central government's response was seen as poor. The anger of the Bengali population was compounded when Sheikh Mujibur Rahman, whose Awami League had won a majority in Parliament in the 1970 elections, was blocked from taking office. After staging compromise talks with Mujibur Rahman, President Yahya Khan and military officials launched Operation Searchlight, a sustained military assault on East Pakistan, and arrested Mujibur Rahman in the early hours of 26 March 1971. Yahya's methods were extremely bloody, and the violence of the war resulted in many civilian deaths. Yahya's chief targets included intellectuals and Hindus, and about one million refugees fled to neighbouring India. Estimates of those massacred throughout the war range from thirty thousand to three million. Mujibur Rahman was ultimately released on 8 January 1972 as a result of direct US intervention. After independence, the Constitution of Bangladesh proclaimed a secular parliamentary democracy. In the 1973 general election, the Awami League gained an absolute majority in parliament. A nationwide famine occurred during 1973 and 1974, and in early 1975, Mujib initiated a one-party socialist rule with his newly formed BAKSAL. On 15 August 1975, Mujib and most of his family members were assassinated by mid-level military officers. Vice President Khandaker Mushtaq Ahmed was sworn in as President with most of Mujib's cabinet intact. Two Army uprisings on 3 November and 7 November 1975 led to a reorganised structure of power. A state of emergency was declared to restore order and calm. Mushtaq resigned, and the country was placed under temporary martial law, with three service chiefs serving as deputies to the new president, Justice Abu Satem, who also became the Chief Martial Law Administrator. Lieutenant General Ziaur Rahman took over the presidency in 1977 when Justice Sayem resigned. President Zia reinstated multi-party politics, introduced free markets, and founded the Bangladesh Nationalist Party (BNP). Zia's rule ended when he was assassinated by elements of the military in 1981. Bangladesh's next major ruler was Lieutenant General Hossain Mohammad Ershad, who gained power in a coup on 24 March 1982, and ruled until 6 December 1990, when he was forced to resign after a revolt of all major political parties and the public, along with pressure from Western donors (which was a major shift in international policy after the fall of the Soviet Union). Since then, Bangladesh has reverted to a parliamentary democracy. Zia's widow, Khaleda Zia, led the Bangladesh Nationalist Party to parliamentary victory at the general election in 1991 and became the first female Prime Minister in Bangladeshi history. However, the Awami League, headed by Sheikh Hasina, one of Mujib's surviving daughters, won the next election in 1996. The Awami League lost again to the Bangladesh Nationalist Party in 2001. Widespread political unrest followed the resignation of the BNP in late October 2006, but the caretaker government worked to bring the parties to election within the required ninety days. At the last minute in early January, the Awami League withdrew from the election scheduled for later that month. On 11 January 2007, the military intervened to support both a state of emergency and a continuing but neutral caretaker government under a newly appointed Chief Advisor, who was not a politician. The country had suffered for decades from extensive corruption, disorder, and political violence. The caretaker government worked to root out corruption from all levels of government. It arrested on corruption charges more than 160 people, including politicians, civil servants, and businessmen, among whom were both major party leaders, some of their senior staff, and two sons of Khaleda Zia. After working to clean up the system, the caretaker government held what was described by observers as a largely free and fair election on 29 December 2008. The Awami League's Sheikh Hasina won with a two-thirds landslide in the elections; she took the oath of Prime Minister on 6 January 2009. In southeastern Bangladesh, experiments have been done since the 1960s to 'build with nature'. Construction of cross dams has induced a natural accretion of silt, creating new land. With Dutch funding, the Bangladeshi government began promoting the development of this new land in the late 1970s. The effort has become a multiagency endeavor, building roads, culverts, embankments, cyclone shelters, toilets and ponds, as well as distributing land to settlers. By fall 2010, the program will have allotted some 27,000 acres (10,927 ha) to 21,000 families. Straddling the Tropic of Cancer, Bangladeshi climate is tropical with a mild winter from October to March, and a hot, humid summer from March to June. The country has never frozen at any point on the ground, with a record low of 4.5 °C in the south west city of Jessore in the winter of 2011. A warm and humid monsoon season lasts from June to October and supplies most of the country's rainfall. Natural calamities, such as floods, tropical cyclones, tornadoes, and tidal bores occur almost every year, combined with the effects of deforestation, soil degradation and erosion. The cyclones of 1970 and 1991 were particularly devastating. A cyclone that struck Bangladesh in 1991 killed some 140,000 people. The President is the head of state, albeit mainly ceremonially in his/her elected post; however, the President's powers are substantially expanded during the tenure of a caretaker government, which is responsible for the conduct of elections and transfer of power. The officers of the caretaker government must be non-partisan and are given three months to complete their task. This transitional arrangement was pioneered by Bangladesh in its 1991 election and then institutionalised in 1996 through its 13th constitutional amendment. Major parties in Bangladesh include the Awami League, the Bangladesh Nationalist Party (BNP), the Jatiya Party and the Jamaat-e-Islami. Sheikh Hasina's Awami League aligns with more leftist parties, whereas Khaleda Zia's BNP has politically been allied with Islamist parties like the Jamaat but practices secular politics. The former two have been bitter, dominant political rivals for over 15 years; each is related to one of the leaders of the independence movement. The Awami League-BNP rivalry has been punctuated by protests, violence and murder. Student politics are particularly strong in Bangladesh, a legacy from the liberation movement era, as almost all parties have highly active student wings, and student leaders have been elected to the Jatiyo Sangshad. On 11 January 2007, following widespread political unrest, emergency law was declared and a caretaker government was appointed to administer the next general election. The 22 January 2007 election was postponed indefinitely as the Army-backed caretaker government of Fakhruddin Ahmed aimed to prepare a new voter list and crack down on corruption. They also assisted the interim government of Bangladesh in a drive against corruption, which resulted in Bangladesh's position in Transparency International's Corruption Perceptions Index changed from the very bottom, where they had been for 3 years in a row, to 147th in just 1 year. A large alliance led by the Bangladesh Awami League won in a 29 December 2008 landslide victory, gaining 230 seats among 300 seats in the parliament. Bangladesh Army peacekeepers in Darfur, Sudan. Bangladesh's most important and complex foreign relationship is with neighbouring India. The relationship is borne out of historical and cultural affinities, as well as India's alliance with Bangladeshi nationalists during the liberation of Bangladesh in 1971. However, bilateral ties have gone through several hiccups in the last forty years. A major source of tension is water-sharing on 56 common rivers, as well as border security and India's barriers to trade and investments. Both countries have also at times accused each other of harbouring insurgent groups. Recognising the importance of good relations, regional security and South Asian economic integration, the two countries have sought to revive relations in recent years, and have formed strategic partnerships to develop regional connectivity, infrastructure, greater trade, mutual access to markets, energy, environmental protection and cultural projects. India's eastern states, as well as Nepal and Bhutan, are keen to gain access to Bangladesh's Chittagong and Mongla ports. Bangladesh enjoys very warm ties with the People's Republic of China, and particularly in the last decade there has been increased economic cooperation between them. Between 2006 and 2007, trade between the two nations rose by 28.5% and there have been agreements to grant various Bangladeshi commodities tariff-free access to the Chinese market. Cooperation between the Military of Bangladesh and the People's Liberation Army is also increasing, with joint military agreements signed and Bangladesh purchasing Chinese arms which range from small arms to large naval surface combat ships such as the Chinese Type 053H1 Missile Frigate. Bangladesh is a major South Asian ally of the United States. The two countries have long-standing partnerships in development, defense, energy, business, trade, education, health and the environment. As of 2011, American aid to Bangladesh totalled over US$ 6 billion. American companies are the largest foreign investors in country, and the US is also the largest market for Bangladeshi exports. In the 1991 Gulf War, Bangladesh participated in the US-led multinational coalition to liberate Kuwait. It supports the US-led reconstruction of Afghanistan, where Bangladeshi non-governmental agencies, such as BRAC, are extensively involved in Afghan reconstruction efforts. The US Military and the Bangladesh Armed Forces have long-standing strategic relations and host frequent joint military exercises, particularly in counter-terrorism and maritime security. The US has also assisted Bangladesh with massive relief operations in the aftermath of several natural disasters, such as the 1991 Bangladesh cyclone and Cyclone Sidr. In 2010, President Barack Obama announced a $1 billion aid package for Bangladesh, to be utilized from 2010 to 2015, in addressing challenges of food security, health and climate change. In 2011, Secretary of State Hillary Clinton and Foreign Minister Dipu Moni launched annual strategic dialogues between the two countries. As of 2012, the current strength of the army is around 300,000 including reservists, the air force 22,000, and navy 24,000. In addition to traditional defence roles, the military has been called on to provide support to civil authorities for disaster relief and internal security during periods of political unrest. Bangladesh is not currently active in any ongoing war, but it contributed 2,300 troops during Operation Desert Storm in 1991, and is the world's largest contributor (10,736) to UN peacekeeping forces. In May 2007, Bangladesh had major deployments in Democratic Republic of Congo, Liberia, Sudan, Timor-Leste and Côte d'Ivoire. Bangladesh is a developing nation and a rapidly growing market-based economy. It is one of the world's leading exporters of textiles and garments, as well as fish, seafood and jute, and has globally competitive emerging industries in shipbuilding, life sciences and technology. The country also has a strong social enterprise sector and is the birthplace of microfinance. Bangladesh has gradually decreased its dependency on foreign grants and loans from 85% (In 1988) to 2% (In 2010) for its annual development budget. Its per capita income as of 2013 is US$1,044 compared to the world average of $8,985. In December 2005, the Central Bank of Bangladesh projected GDP growth around 6.5%. The insufficient power supply constitutes an obstacle to growth. According to the World Bank, "among Bangladesh’s most significant obstacles to growth are poor governance and weak public institutions." In April 2010, Standard & Poor's awarded Bangladesh a BB- for a long term in credit rating which is below India and well over Pakistan and Sri Lanka. According to FAOSTAT, Bangladesh is one of world's largest producers of: fisheries (5th), rice (4th), potato (11th), mango (9th), pineapple (16th), tropical Fruit (5th), onion (16th), banana (17th), jute (2nd), tea (11th). More than three-quarters of Bangladesh’s export earnings come from the garment industry in 2005. The industry began attracting foreign investors in the 1980s because of cheap labour and low conversion cost. As of 2014, Bangladesh is the world's second largest apparel exporter. There has also been a significant growth to Bangladesh's ship building industry in the last few years. The required ships and vessels in the country are being produced by the local shipbuilders. Furthermore, they have already started taking orders and executing them perfectly for foreign companies from Germany, Denmark and other European countries who prefer the cheap market of Bangladesh over their local market. The Khulna Shipyard have successfully completed building a Khulna Class LPC(Large Patrol Craft) and a LCVP(Landing Craft, Vehicle, Personnel) for the Bangladesh Navy and Bangladesh Army respectively, the cost being almost half of their import price. They are to build 5 more LPCs of the same class in the coming year. The population of Bangladesh as of 15 March 2011 is 142.3 million (census 2011 result), much less than recent (2007–2010) estimates of Bangladesh's population ranging from 150 to 170 million and it is the 8th most populous nation in the world. In 1951, the population was 44 million. It is also the most densely populated large country in the world, and it ranks 11th in population density, when very small countries and city-states are included. More than 98% of Bangladeshis speak Bengali as their native language, which is also the official language. English is also used as a second language among the middle and upper classes and is also widely used in higher education and the legal system. Historically, laws were written in English and were not translated into Bengali until 1987, when the procedure was reversed. Bangladesh's Constitution and all laws now both are in English and Bengali. There are also some amount of Indigenous minority language speakers. Islam is the state religion even though Bangladesh is secular. Islam is the largest religion of Bangladesh, making up 90.4% of population. Hinduism makes up 8.2% of the population, Buddhism 0.7%, Christianity 0.6%, and others of 0.1% of the population. The majority of Muslims are Sunni, roughly 4% are non-denominational Muslims and a small number are Shia, and about 100,000 Ahmadi Muslims. Bangladesh has the fourth largest Muslim population after Indonesia, Pakistan and India. Hindus are the second biggest religious group in Bangladesh, and the third largest in the world after India and Nepal. Universities in Bangladesh are mainly categorized into three different types: public university (government owned and subsidized), private university (private sector owned universities) and international university (operated and funded by international organizations). Bangladesh has some thirty-four public, sixty-four private and two international universities. National University has the largest enrollment among them and University of Dhaka (established 1921) is the oldest university of the country. Islamic University of Technology, commonly known as IUT is a subsidiary organ of the Organisation of the Islamic Cooperation (OIC), representing fifty seven member countries from Asia, Africa, Europe and South America. Bangladeshi universities are accredited by and affiliated with the University Grants Commission (UGC), a commission created according to the Presidential Order (P.O. No 10 of 1973) of the Government of the People's Republic of Bangladesh. Health and education levels remain relatively low, although they have improved recently as poverty (26% at 2012) levels have decreased. For those in rural areas, village doctors with little or no formal training constitute 62% of the healthcare providers practising modern medicine and the formally trained providers are occupying a mere 4% of the total health workforce. A survey conducted by Future Health Systems revealed significant deficiencies in treatment practices of village doctors, with a wide prevalence of harmful and inappropriate drug prescriptions. There are market incentives for accessing health care through informal providers and it is important to understand these markets in order to facilitate collaboration across actors and institutions in order to provide incentives for better performance. The Bangladeshi film industry has been based in Bangladesh's capital, Dhaka, since 1956. As of 2004, it produced approximately 100 movies a year, with an average movie budget of about 20,000,000 Bangladeshi taka. The film industry is known as Dhallywood, a portmanteau of the words Dhaka and Hollywood. Bangladesh produces about 80 films a year. Jamdani has been declared by UNESCO as a Intangible Cultural Heritage of Humanity. Pohela Boishakh, the Bengali new year, is the major festival of Bengali culture and sees widespread festivities. Of the major holidays celebrated in Bangladesh, only Pohela Boishakh comes without any preexisting expectations (specific religious identity, culture of gift-giving, etc.). Unlike holidays like Eid al-Fitr, where dressing up in lavish clothes has become a norm, or Christmas where exchanging gifts has become an integral part of the holiday, Pohela Boishakh is really about celebrating the simpler, rural roots of the Bengal. As a result, more people can participate in the festivities together without the burden of having to reveal one's class, religion, or financial capacity. Other cultural festivals include Nabonno, and Poush porbon (festival of Poush), both Bengali harvest festivals. 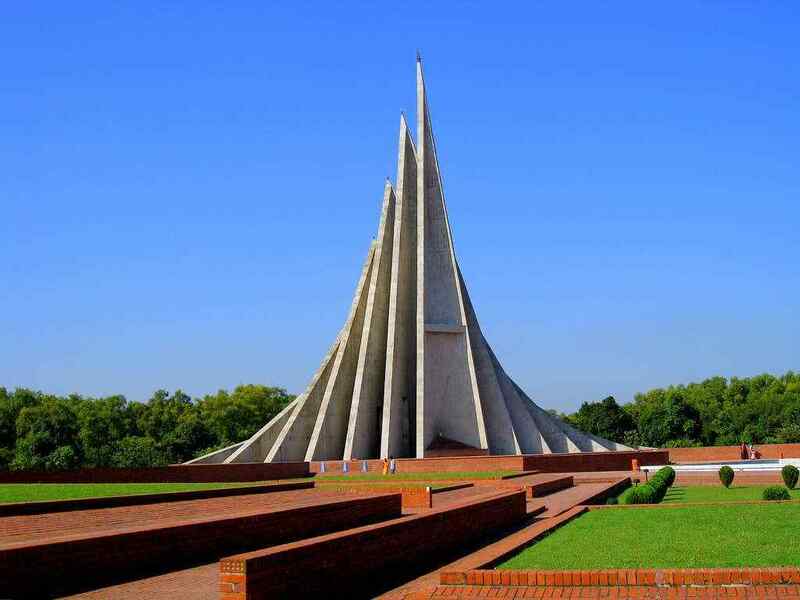 Bangladesh has appealing architecture from historic treasures to contemporary landmarks. The architecture of Bangladesh has a long history and is rooted in Bangladesh's culture, religion and history. It has evolved over centuries and assimilated influences from social, religious and exotic communities. The architecture of Bangladesh bears a remarkable impact on the lifestyle, tradition and cultural life of Bangladeshi people. Bangladesh has many architectural relics and monuments dating back thousands of years. Cricket is one of the most popular sports in Bangladesh, followed by football. The national cricket team participated in their first Cricket World Cup in 1999, and the following year was granted elite Test cricket status. But they have struggled to date, recording only three Test match victories: one against Zimbabwe in 2005, the other two in a series win of 2–0 against the West Indies in 2009. The team has been more successful in One Day International cricket. In July 2010, they celebrated their first ever win over England in any form of match. Later in 2010, they managed to beat New Zealand for the first time in history. In late 2012, they won a five-match home ODI series 3-2 against a full-strength West Indies National team. In 2011, Bangladesh successfully co-hosted the ICC Cricket World Cup 2011 with India and Sri Lanka. In 2012, the country hosted the Asia Cup. The team beat India and Sri Lanka but failed to keep the reputation in the final game against Pakistan. However, it was the first time Bangladesh had advanced to the final of any major cricket tournament. They participated at the 2010 Asian Games in Guangzhou, defeating Afghanistan to claim their Gold Medal in the first ever cricket tournament held in the Asian Games. Kabaddi is a very popular game in Bangladesh, especially in the villages. Often called the 'game of rural Bengal', it is now the National Game of Bangladesh. In some areas Kabaddi is still known as [Ha-Du-Du], but Ha-Du-Du had no definite rules and was played with different rules in different areas. [Ha-Du-Du] was renamed Kabaddi and given the status of the National Game in 1972. Other popular sports include field hockey, tennis, badminton, handball, basketball, volleyball, chess, shooting, angling. The Bangladesh Sports Control Board regulates 29 different sporting federations. In another remarkable achievement, A Bangladeshi origin Russian Margarita Mamun become worlds number one rhythmic gymnast of 2013. ^ a b c d Central Intelligence Agency (2012). "Bangladesh". The World Factbook. Langley, Virginia: Central Intelligence Agency. https://www.cia.gov/library/publications/the-world-factbook/geos/bg.html. ^ a b c d "Bangladesh". International Monetary Fund. http://www.imf.org/external/pubs/ft/weo/2013/02/weodata/weorept.aspx?pr.x=85&pr.y=9&sy=2013&ey=2013&scsm=1&ssd=1&sort=country&ds=.&br=1&c=513&s=NGDPD%2CNGDPDPC%2CPPPGDP%2CPPPPC%2CLP&grp=0&a=. Retrieved 10 November 2013. ^ "GDP swells, per capita income crosses $1,000". The Daily Star. http://archive.thedailystar.net/beta2/news/gdp-swells-per-capita-income-crosses-1000/. Retrieved 23 December 2013. ^ "Human Development Report 2010. Human development index trends: Table G". The United Nations. Archived from the original on 5 December 2010. https://web.archive.org/web/20101205181756/http://hdr.undp.org/en/media/HDR_2010_EN_Complete.pdf. Retrieved 14 July 2011. ^ United Nations Development Programme in Bangladesh: HDR 2010 recognises Bangladesh's great progress over time. 5 November 2010. Retrieved 25 October 2012. ^ "Meeting Millennium Development Goals". BBC News. http://news.bbc.co.uk/2/hi/south_asia/8548923.stm. Retrieved 25 October 2012. ^ "Ban lauds Bangladesh’s progress on women’s and children’s health". UN News Center (United Nations). 15 November 2011. http://www.un.org/apps/news/story.asp?NewsID=40399&Cr=maternal&Cr1#.UIK6m2_MjEU. Retrieved 25 October 2012. ^ James Heitzman and Robert L. Worden, ed (1989). "Early History, 1000 B.C.-A.D. 1202". Bangladesh: A country study. Library of Congress. ISBN 82-90584-08-3. OCLC 15653912. http://memory.loc.gov/frd/cs/bdtoc.html. ^ Eaton, R (1996). The Rise of Islam and the Bengal Frontier. University of California Press. ISBN 0-520-20507-3. OCLC 76881262 26634922 76881262. ^ D'Costa, Jerome (1986). Bangladeshey Catholic Mondoli (The Catholic Church in Bangladesh). Dhaka: Pratibeshi Prakashani. ^ a b Sen, Amartya (1973). Poverty and Famines. Oxford University Press. ISBN 0-19-828463-2. OCLC 177334002 191827132 31051320 40394309 53621338 63294006 10362534 177334002 191827132 31051320 40394309 53621338 63294006. ^ Collins, L; D Lapierre (1986). Freedom at Midnight, Ed. 18. Vikas Publishers, New Delhi. ISBN 0-7069-2770-2. ^ Bangladesh cyclone of 1991. Britannica Online Encyclopedia. ^ Salik, Siddiq (1978). Witness to Surrender. Oxford University Press. ISBN 0-19-577264-4. ^ Rummel, Rudolph J., "Statistics of Democide: Genocide and Mass Murder Since 1900", ISBN 3-8258-4010-7, Chapter 8, table 8.1. Rummel comments that, In East Pakistan (now Bangladesh) [General Agha Mohammed Yahya Khan and his top generals] planned to indiscriminately murder hundreds of thousands of its Hindus and drive the rest into India. And they planned to destroy its economic base to ensure that it would be subordinate to West Pakistan for at least a generation to come. This despicable and cutthroat plan was outright genocide. ^ LaPorte, R (1972). "Pakistan in 1971: The Disintegration of a Nation". Asian Survey 12 (2): 97–108. DOI:10.1525/as.1972.12.2.01p0190a. ^ Rummel, Rudolph J., "Statistics of Democide: Genocide and Mass Murder Since 1900", ISBN 3-8258-4010-7, Chapter 8, Table 8.2 Pakistan Genocide in Bangladesh Estimates, Sources, and Calcualtions. ^ Sheikh Mujibur Rehman release and events on 8 January 1972. Pakblog.net (2012-01). Retrieved on 26 June 2012. ^ a b Mascarenhas, A (1986). Bangladesh: A Legacy of Blood. Hodder & Stoughton, London. ISBN 0-340-39420-X. OCLC 16583315 242251870 13004864 16583315 242251870. ^ Rahman, Waliur (18 October 2005). "Bangladesh tops most corrupt list". BBC News. http://news.bbc.co.uk/2/hi/south_asia/4353334.stm. Retrieved 13 April 2007. ^ "Bangladesh election seen as fair, though loser disputes result". The New York Times. 30 November 2008. http://www.nytimes.com/2008/12/30/world/asia/30iht-bangla.5.19007747.html. ^ "Hasina takes oath as new Bangladesh prime minister". Reuters. 6 January 2009. http://www.reuters.com/article/2009/01/06/us-bangladesh-hasina-idUSTRE5053GG20090106. Retrieved 3 July 2010. ^ Suvedī, Sūryaprasāda (2005). International watercourses law for the 21st century. Ashgate Publishing, Ltd.. pp. 154–166. ISBN 0-7546-4527-4. ^ Ali, A (1996). "Vulnerability of Bangladesh to climate change and sea level rise through tropical cyclones and storm surges". Water, Air, & Soil Pollution 92 (1–2): 171–179. DOI:10.1007/BF00175563. ^ ""Bangladesh fights for survival against climate change," by William Wheeler and Anna-Katarina Gravgaard, The Washington Times". Pulitzercenter.org. http://pulitzercenter.org/articles/bangladesh-fights-survival-against-climate-change. Retrieved 3 July 2010. ^ SOME FREQUENTLY MISQUOTED ELEVATIONS. sol.co.uk. ^ Alexander, David E. (1999) . "The Third World". Natural Disasters. Dordrecht: Kluwer Academic Publishers. p. 532. ISBN 0-412-04751-9. OCLC 43782866 27974924 43782866. http://books.google.com/?id=gWHsuGTcF34C&pg=PA532. Retrieved 2 May 2008. ^ Haggett, Peter (2002) . "The Indian Subcontinent". Encyclopedia of World Geography. New York: Marshall Cavendish. pp. 2, 634. ISBN 0-7614-7308-4. OCLC 46578454. http://books.google.com/?id=IROIY4ONOSEC&pg=PA2634. Retrieved 2 May 2008. ^ Bangladesh Climate Change Strategy and Action Plan 2008 Ministry of Environment and Forests Government of the People's Republic of Bangladesh, September 2008. ^ Walker, Brian (21 June 2010). "Study: Millions in Bangladesh exposed to arsenic in drinking water". CNN. Archived from the original on 23 June 2010. https://web.archive.org/web/20100623023606/http://www.cnn.com/2010/WORLD/asiapcf/06/20/bangladesh.arsenic.poisoning/index.html?hpt=T1. Retrieved 3 July 2010. ^ "Bangladesh: 77m poisoned by arsenic in drinking water". BBC News. 19 June 2010. Archived from the original on 23 June 2010. https://web.archive.org/web/20100623010957/http://news.bbc.co.uk/2/hi/world/south_asia/10358063.stm. Retrieved 3 July 2010. ^ IUCN (1997). "Sundarban wildlife sanctuaries Bangladesh". World Heritage Nomination-IUCN Technical Evaluation. ^ "Bangladeshi gov't selects mango tree as national tree". Xinhua News Agency. 15 November 2010. http://news.xinhuanet.com/english2010/world/2010-11/15/c_13608012.htm. Retrieved 15 November 2011. ^ "Constitution of Bangladesh". Parliament.gov.bd. http://www.parliament.gov.bd/Constitution_English/index.htm. Retrieved 28 November 2010. ^ Khan, Zillur R. (1997). "Bangladesh's experiments with parliamentary democracy". Asian Survey 37 (6): 575–589. DOI:10.1525/as.1997.37.6.01p0256x. ^ "cpi 2008 table /cpi2008/2008/in focus/news room". Transparency.org. Archived from the original on 14 June 2010. http://www.transparency.org/news_room/in_focus/2008/cpi2008/cpi_2008_table. Retrieved 3 July 2010. ^ "Bangladesh Election Commission". 123.49.39.5. 2 April 2009. http://123.49.39.5/result/report4.php?lang=en. Retrieved 3 July 2010. ^ Ali, M.M. (March 1997). "India's Major Gains and Losses in World Affairs". Washington Report on Middle East Affairs 0397. Retrieved on 29 April 2008. ^ Sheikh Rahman (5 September 2011). "Indo-Bangladesh relations: Now and in future". The Daily Star. http://www.thedailystar.net/newDesign/news-details.php?nid=201094. Retrieved 8 January 2013. ^ a b "Bangladesh". State.gov. 26 October 2012. http://www.state.gov/r/pa/ei/bgn/3452.htm#relations. Retrieved 8 January 2013. ^ Bangladesh troops lead global peacekeeping. Retrieved 29 May 2012. ^ Bangladesh Military Forces. Retrieved 12 June 2009. ^ "TOTAL BD PARTICIPATION IN UN DEPL (COMPLETED)". Bangladesh Army. February 2007. Archived from the original on 11 June 2008. https://web.archive.org/web/20080611133501/http://army.mil.bd/newahq/index5.php?category=177. Retrieved 2 May 2008. ^ "Bangladeshi officers enhance UN troops’ logistical support in Darfur". UN News Center. United Nations. 23 October 2008. http://www.un.org/apps/news/story.asp?NewsID=28691&Cr=darfur&Cr1=. Retrieved 4 February 2010. ^ "Rangpur becomes a division". bdnews24.com. 25 January 2010. http://dev-bd.bdnews24.com/details.php?id=151976&cid=2. Retrieved 6 August 2011. ^ a b c "2011 Population & Housing Census: Preliminary Results". Bangladesh Bureau of Statistics. http://www.bbs.gov.bd/WebTestApplication/userfiles/Image/BBS/PHC2011Preliminary%20Result.pdf. Retrieved 12 January 2012. ^ "Bangladesh: Divisions, Districts, Major Cities & Municipalities - Statistics & Maps on City Population". Citypopulation.de. http://www.citypopulation.de/Bangladesh-Mun.html#Stadt_gross. Retrieved 11 May 2013. ^ Star Online Report (20 June 2013). "Number of poor declines by 26pc: WB". The Daily Star. http://www.thedailystar.net/beta2/news/number-of-poor-decline-by-26-percent-wb/. Retrieved 6 July 2013. ^ Saleh Khan. "About Bangladesh". Un-bd.org. http://www.un-bd.org/bgd/. Retrieved 11 May 2013. ^ "Development Budget". countrystudies.us. http://countrystudies.us/bangladesh/58.htm. Retrieved 3 April 2007. ^ "Achievements and challenges of Bangladesh". The Daily Star. Archived from the original on 27 March 2010. http://www.thedailystar.net/newDesign/news-details.php?nid=131583. Retrieved 26 March 2010. ^ "Annual Report 2004–2005, Bangladesh Bank". Bangladesh-bank.org. Archived from the original on 11 August 2007. https://web.archive.org/web/20070811195257/http://www.bangladesh-bank.org/pub/annual/anreport/ar0405/index0405.html. Retrieved 3 July 2010. ^ "Bangladesh Gets first Credit Rating". The Daily Star. Archived from the original on 7 April 2010. http://www.thedailystar.net/newDesign/news-details.php?nid=133282. Retrieved 7 April 2010. ^ Schreiner, Mark (2003). "A Cost-Effectiveness Analysis of the Grameen Bank of Bangladesh". Development Policy Review 21 (3): 357–382. DOI:10.1111/1467-7679.00215. ^ Transit and trade. The Daily Star (6 September 2011). Retrieved 10 December 2011. ^ Transit to India. The Daily Star (3 September 2011). Retrieved 10 December 2011. ^ "FAOSTAT 2008 by Production". faostat.fao.org. Archived from the original on 12 May 2008. http://faostat.fao.org/site/339/default.aspx. Retrieved 6 June 2008. ^ "Bangladesh becomes 5th largest fisheries producer by FAOSTAT". bonikbarta.com. Archived from the original on 7 September 2013. http://www.bonikbarta.com/first-page/2013/09/06/14924. Retrieved 7 September 2013. ^ Wood, Geoffrey D. (1994). Bangladesh: Whose ideas, whose interests?. Intermediate Technology Publications. p. 111. ISBN 1-85339-246-4. ^ Roland, B (6 January 2005). "Bangladesh Garments Aim to Compete". BBC. http://news.bbc.co.uk/2/hi/south_asia/4118969.stm. Retrieved 1 January 2010. ^ "Bangladesh's Population to Exceed 160 Mln after Final Census Report". English.cri.cn. http://english.cri.cn/6966/2011/07/24/2821s650100.htm. Retrieved 6 August 2011. ^ "Bangladesh – population". Library of Congress Country Studies. ^ "Population density – Persons per sq km 2010 Country Ranks". Archived from the original on 24 October 2010. http://www.photius.com/rankings/geography/population_density_persons_per_sq_km_2010_0.html. Retrieved 2 October 2010. 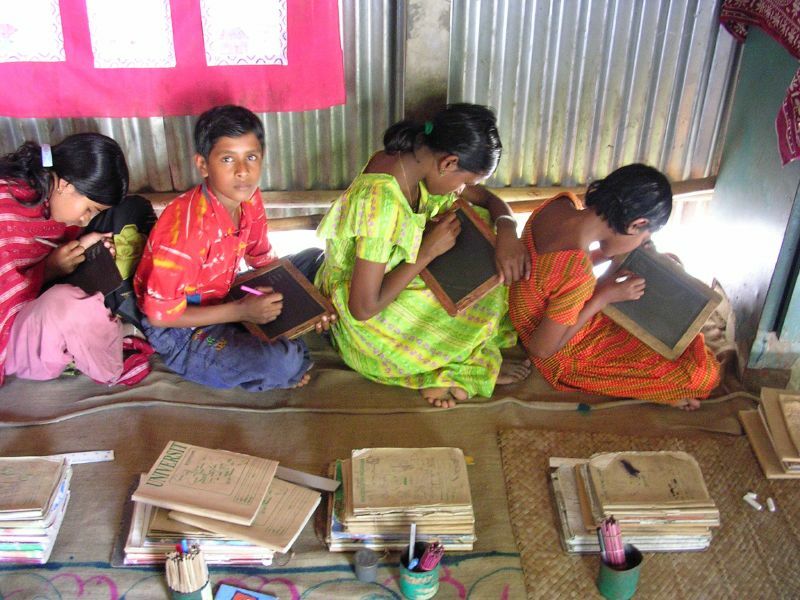 ^ "Bangladesh: Human Development Indicators". http://hdrstats.undp.org/en/countries/profiles/BGD.html. Retrieved 19 July 2013. ^ Rashiduzzaman, M (1998). "Bangladesh's Chittagong Hill Tracts Peace Accord: Institutional Features and Strategic Concerns". Asian Survey 38 (7): 653–670. DOI:10.1525/as.1998.38.7.01p0370e. ^ "Condition of English in Bangladesh". ESL Teachers Board. http://www.eslteachersboard.com/cgi-bin/asia/index.pl?noframes;read=158. Retrieved 21 October 2012. ^ Constitution of Bangladesh, Part I, Article 5. ^ S. M. Mehdi Hasan, Condition of English in Bangladesh: Second Language or Foreign Language. Retrieved 17 July 2007. ^ "Bangladesh's Constitution in Bengali,Online on Bangladesh Government Website.". http://bdlaws.minlaw.gov.bd/bangla_pdf_part.php?id=957. ^ Syedur Rahman (2010). Historical Dictionary of Bangladesh. Scarecrow Press. pp. 151–. ISBN 978-0-8108-6766-6. http://books.google.com/books?id=bJfcCPUr0OoC&pg=PA151. ^ "Bangladesh: Researched and compiled by the Refugee Documentation Centre of Ireland on 12 January 2010". US Department of Justice. http://www.justice.gov/eoir/vll/country/Ireland_refugee_DC/bangladesh/Ahmadi%20Muslims.pdf. Retrieved 31 March 2014. ^ "Muslim Population by Country". Pew Research. 27 January 2011. http://features.pewforum.org/muslim-population/?sort=Pop2010. Retrieved 23 October 2013. ^ "[Analysis Are there any takeaways for Muslims from the Narendra Modi government?"]. DNA. 27 May 2014. http://www.dnaindia.com/analysis/standpoint-analysis-are-there-any-takeaways-for-muslims-from-the-narendra-modi-government-1992395. Retrieved 31 May 2014. ^ JULHAS ALAM – Associated Press (21 June 2011). "Bangladesh moves to retain Islam as state religion – Yahoo!! News Malaysia". Yahoo! News. http://my.news.yahoo.com/bangladesh-moves-retain-islam-state-religion-103136892.html. Retrieved 8 January 2013. ^ "Community: Sufism in Bangladesh". Sufism Journal. Archived from the original on 14 July 2010. http://www.sufismjournal.org/community/community.html. Retrieved 3 July 2010. ^ "IUT is categorized as International University by UGC". UGC, Bangladesh. http://www.ugc.gov.bd/university/?action=international. Retrieved 23 June 2013. ^ "University Grant Commission (UGC)". Ministry of Education, Government of Bangladesh. Archived from __organizations_ugc.htm the original on 18 March 2008. https://web.archive.org/web/20080318232408/http://moedu.gov.bd/about_moe__organizations_ugc.htm. Retrieved 29 March 2008. ^ "দারিদ্র্য কমেছে, আয় বেড়েছে". prothom-alo.com. http://www.prothom-alo.com/detail/date/2011-04-18/news/147495. Retrieved 18 April 2011. ^ a b Bhuiya, Abbas (June 2009). "Costs of utilizing healthcare services in Chakaria, a rural area in Bangladesh". FHS Research Brief (2). ^ Bloom, G (2011). "Making Health Markets Work Better for Poor People: The Case of Informal Providers". Health Policy and Planning 26 (Suppl 1): i45 – i52. DOI:10.1093/heapol/czr025. PMID 21729917. Retrieved on 26 May 2012. ^ Bhuiya, Abbas (September 2008). "Health Seeking Behaviour In Chakaria". FHS Research Brief (1). ^ Bhuiya, Abbas (2009). "Three methods to monitor utilization of healthcare services by the poor". Int J for Equity in Health 8. DOI:10.1186/1475-9276-8-29. Retrieved on 26 May 2012. ^ Aziz, Rumesa (November 2009). "A community health watch to establish accountability and improve performance of the health system". FHS Research Brief (3). ^ a b "WHO | Global Health Observatory Data Repository". http://apps.who.int/ghodata/?vid=4200&theme=country#. Retrieved 14 February 2012. ^ "Hospital Beds (Per 10,000 Population) - Globalhealthfacts.org". http://www.globalhealthfacts.org/data/topic/map.aspx?ind=78. Retrieved 14 February 2012. ^ "Child and Maternal Nutrition in Bangladesh". UNICEF. http://www.unicef.org/bangladesh/Child_and_Maternal_Nutrition(1).pdf. ^ "Bangladesh has world’s highest malnutrition rate". oneworld.net. http://southasia.oneworld.net/todaysheadlines/bangladesh-has-highest-rate-of-malnutrition-in-the-world. ^ "The state of food insecurity in the food 2011". fao.org. http://www.fao.org/docrep/014/i2330e/i2330e.pdf. ^ "The State of the World's Children 2011". UNICEF. http://www.unicef.org/sowc2011/pdfs/SOWC-2011-Main-Report_EN_02092011.pdf. ^ "High Malnutrition in Bangladesh prevents children from becoming "Tigers"". http://www.gainhealth.org/press-releases/high-malnutrition-bangladesh-prevent-children-becoming-%E2%80%9Ctigers%E2%80%9D. ^ "Bangladesh Healthcare Crisis". BBC News. 28 February 2000. http://news.bbc.co.uk/2/hi/south_asia/659674.stm. Retrieved 14 February 2012. ^ "Bangladesh – HEALTH". countrystudies.us. http://countrystudies.us/bangladesh/48.htm. Retrieved 14 February 2012. ^ Logan, Stephen (2008). Asian communication handbook 2008. AMIC. p. 115. ISBN 981-4136-10-7. ^ London, Ellen (2004). Bangladesh. Gareth Stevens Pub.. p. 29. ISBN 0-8368-3107-1. ^ Islam, Roumeen (2002). The right to tell: the role of mass media in economic development. World Bank Publications. p. 268. ISBN 0-8213-5203-2. ^ "jamdani". britannica.com. http://www.britannica.com/EBchecked/topic/299805/jamdani. Retrieved 2013-12-04. ^ "Jamdani recognised as intangible cultural heritage by Unesco". the daily star. http://www.thedailystar.net/beta2/news/jamdani-recognised-as-intangible-cultural-heritage-by-unesco/. Retrieved 2013-12-04. ^ "Traditional art of Jamdani weaving". UNESCO Culture Sector. http://www.unesco.org/culture/ich/index.php?lg=en&pg=00011&RL=00879. Retrieved 2013-12-04. ^ "Architecture of Bangladesh". Banglapedia. Archived from the original on 14 January 2010. https://web.archive.org/web/20100114151211/http://www.banglapedia.org/httpdocs/HT/A_0291.HTM. Retrieved 6 September 2009. ^ "Bangladesh secure series victory". BBC News. 20 July 2009. http://news.bbc.co.uk/sport2/hi/cricket/8160263.stm. Retrieved 3 July 2010. This page uses content from the English language Wikipedia. The original content was at Bangladesh. The list of authors can be seen in the page history. As with this Familypedia wiki, the content of Wikipedia is available under the Creative Commons License.